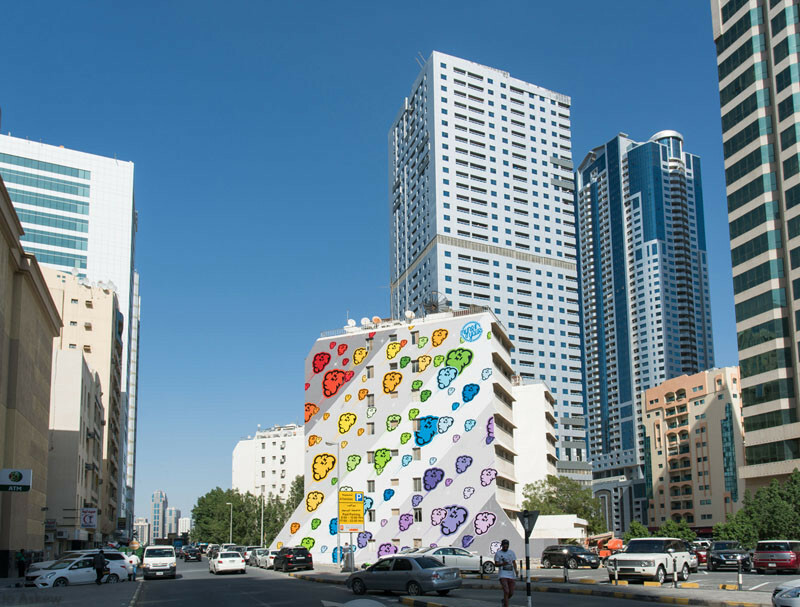 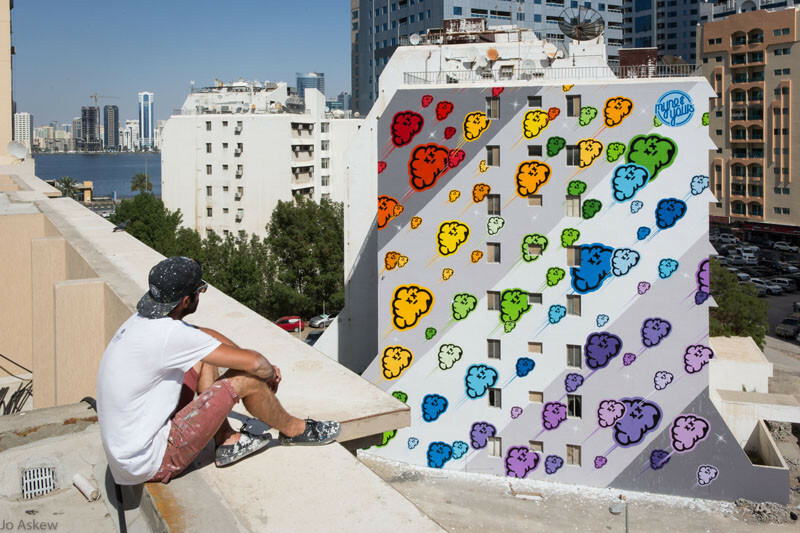 The non-profit Maraya Art Centre, together with Myneandyours, have recently completed this brightly colored mural, on the side of a building in Sharjah, UAE. 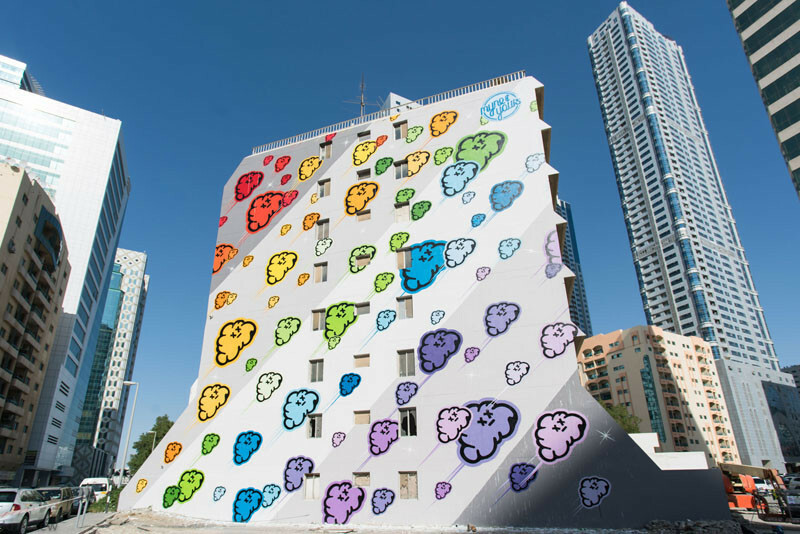 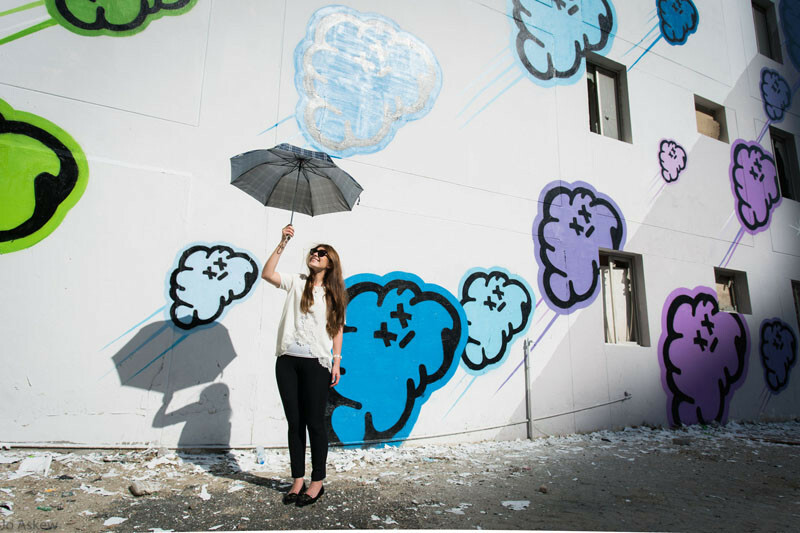 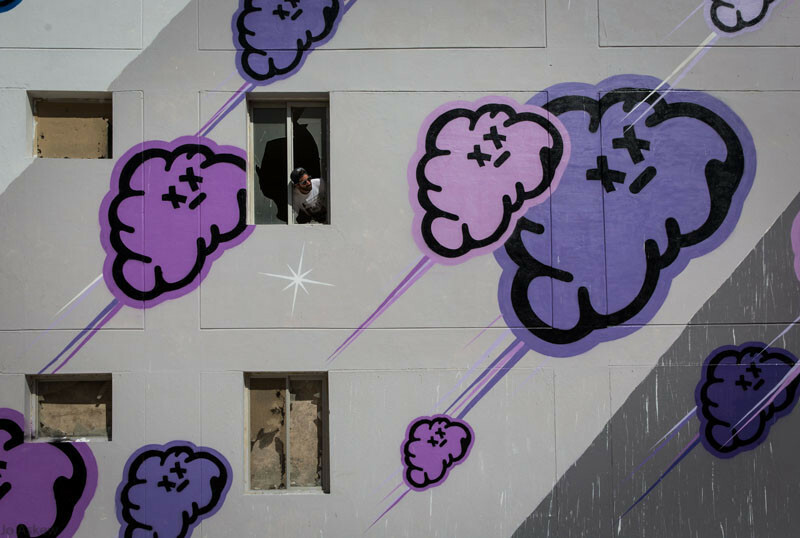 The artist behind Myneandyours, Marwan Shakarchi, has painted the mural with his recognizable image of a cloud with X’s for eyes. 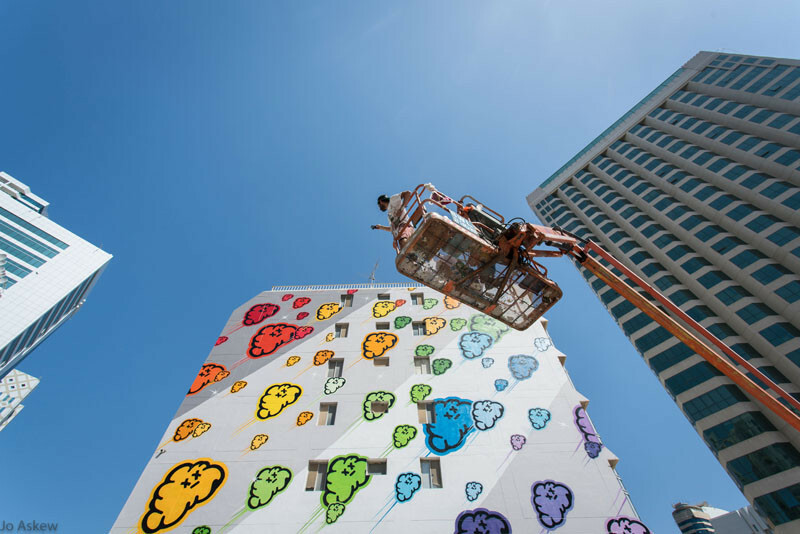 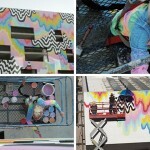 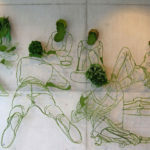 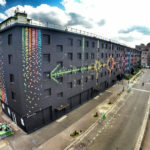 From a secured platform, he used huge-scale stencils and spray paint to bring the mural to life. 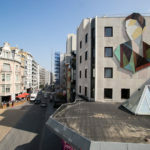 It took 10 days, working each day for 12 hours, to complete the 78ft x 91ft (24m x 28m) mural.